Cost: Free - $3 admission to shop or Register for a FREE admission ticket online using the link below! 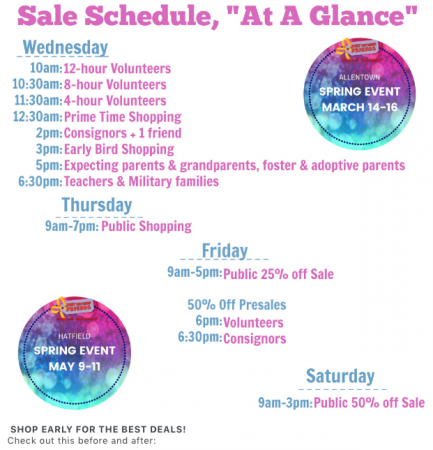 The Just Between Friends Consignment sale is excited to announce their Spring 2019 sale. The event is scheduled for March 13th - March 16th 2019. View the full schedule and get information about obtaining an early bird pass at this link. The sale will be hosted at the Lou Ramos Center. General Admission shopping Thursday-Saturday. Admission $3 at the door, reserve FREE tickets here. Raising a family is expensive! 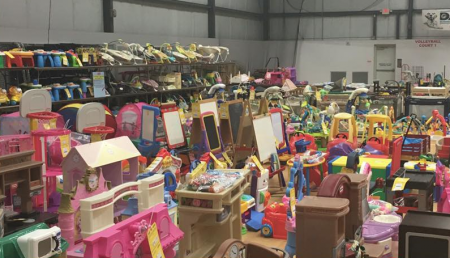 We help you get MORE for your kids for LESS!Shop over 20,000 square feet of bargains! Thousands of children's, infant's and maternity items at 50-90% off retail, all organized by size, gender and category. We had an awesome time at this sale. Items were priced very well by the consigners and I was impressed by the organization of the items. This sale is slightly smaller than some but honestly this is a pro, not a con. I felt it was easy to shop the sizes and items I was looking for, knowing I got to look at everything. The staff was very helpful and check out was quick and easy. I will definitely be shopping again!